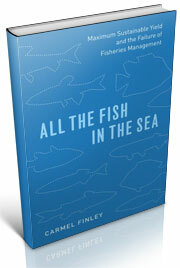 In Crowther’s 1949 article (Posting # 19) he states “For the vast area of the waters off the continental United States, there are at present only two exploratory fishing vessels. One will operate in the Gulf of Mexico, the other will explore the waters off Alaska and the Pacific Northwest.” With the end of the Pacific Explorers’ project two of her four combination fishing vessels, the Washington and Oregon, were transferred to Fish and Wildlife Service’s newly formed branch of Commercial Fisheries Exploratory Fishing and Gear Research Division (Posting # 13). 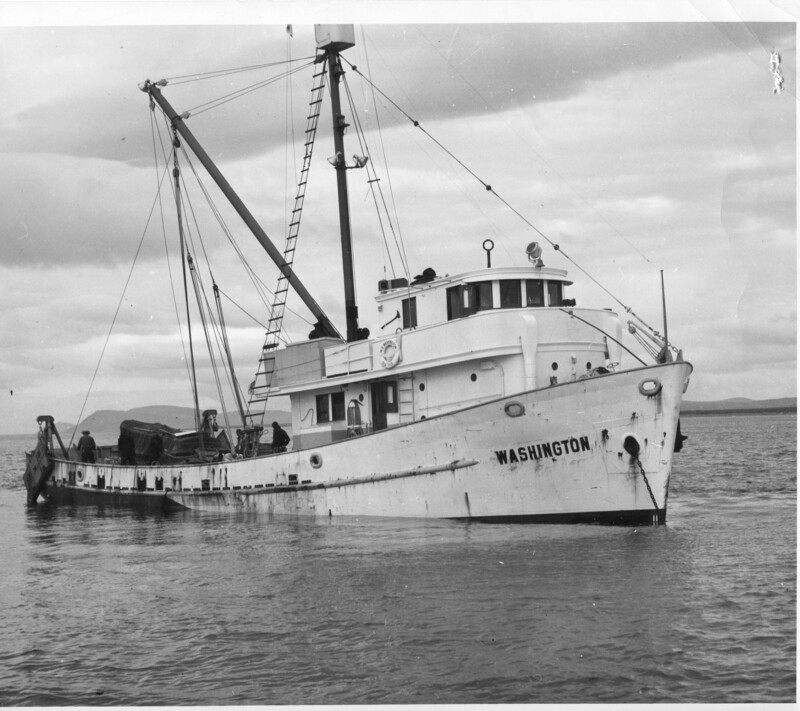 On July 1, 1948, funds were authorized by Congress for the acquisition of an exploratory fishing vessel and for its operation in Alaskan coastal waters. Until the funds became available nothing could be done, and the time to be in the Bering Sea was passing by with the coming of fall. The northern part of the Bering Sea was unexplored and the resource that the Pacific Explorer had worked on in the southeastern part of it was apparently sustainable, so how far west and north did it extend? 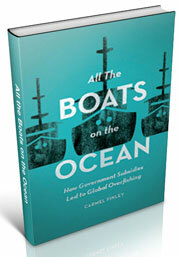 Once funds became available the Washington was altered, fishing gear was obtained, a crew hired and stores put aboard. Even with late sailing it was determined to send the untried vessel into the Bering Sea to see how it would operate under conditions which should be equal to the worst the vessel would be likely to encounter. She finally departed Seattle on August 24, 1948 en route to the Bering Sea for the first exploratory cruise. Once the vessel reached the Bering Sea and headed north she ran into severe weather. It was discovered that she was not ballasted correctly by the stern,which would have helped her to slow down sufficiently in rough weather to hold her position by heaving-to, keeping her bow into the oncoming seas. Once she reached Nome, Alaska, she was able to receive 30 tons of ballast in the form of rock which was loaded in her aft cargo hole, which helped solve the problem. 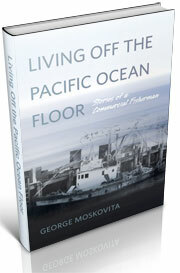 She started the survey work on September 14, 1948 in the vicinity of Nome and the entire survey is covered in the published report published in Fishery Leaflet 342 (1). 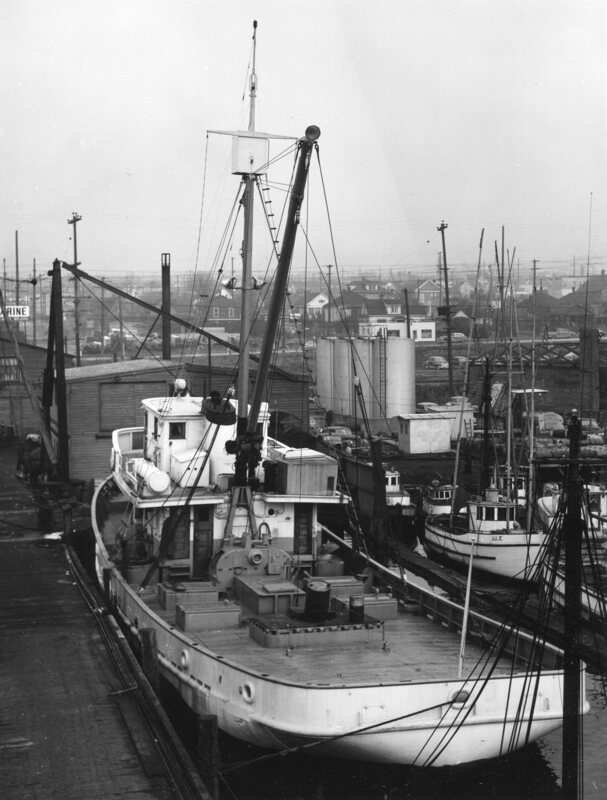 The vessel returned to Seattle on October 23, 1948. Each of the sciences made their own reports and basically they recommended that the Washington had to go through major modifications to make it a useable exploratory vessel. Her good points were pointed out first. 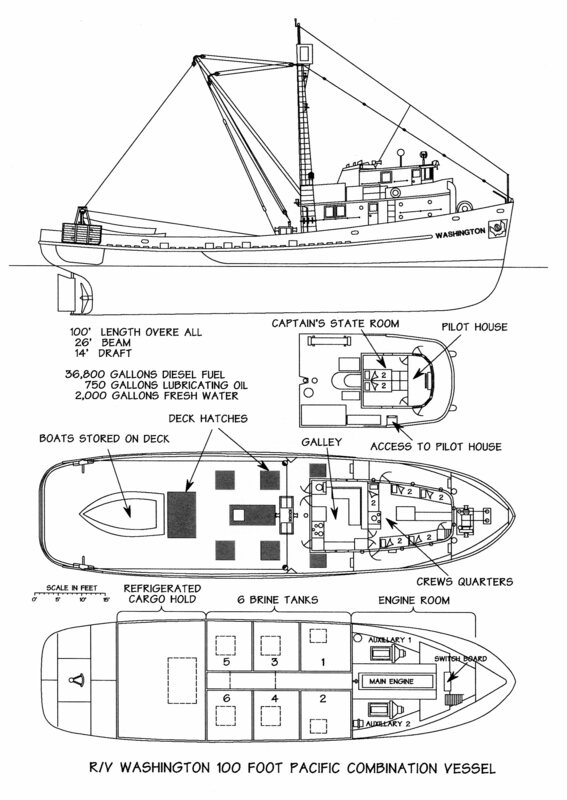 She was designed as a west coast sardine purse seiner or a large combination fishing vessel which, with minor modifications, could be converted to different commercial fisheries. 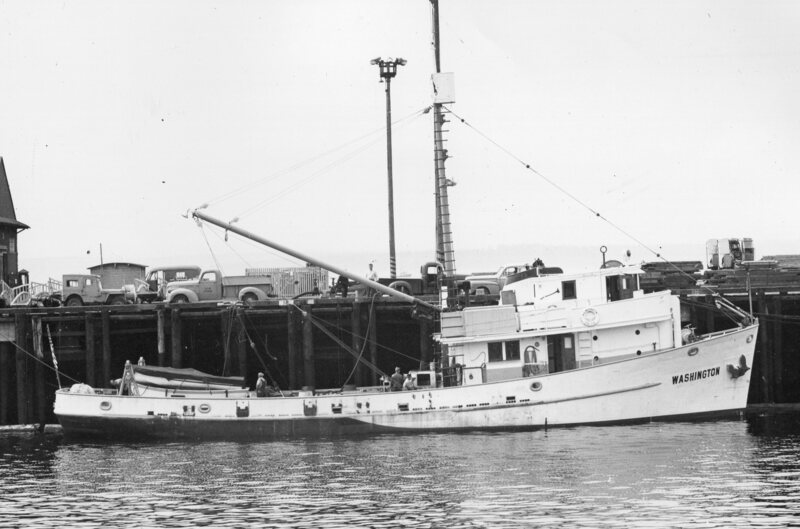 There is no question that the east coast side trawler design was a better sea boat, as demonstrated by the Deep Sea, which was working the Bering Sea at the time, but she was only good for one fishery, trawling. This was not desirable for an exploratory fishing and gear research vessel. The Washington’s skipper concluded that she had a strong and seaworthy hull, her mechanical condition was good with adequate power and she was self-contained, with reserves of fuel oil, lubricating oil, dry and frozen provisions and fresh water for long trips. She had good refrigeration facilities which were unfortunately designed for a commercial operation. Suggested modifications followed. There needed to be a higher free board aft of the house since the deck was awash in any kind of weather and if the weather got worse,waves could come over the rail, washing the catch back into the sea. Scientific bottled samples were lashed down on the after deck and were also lost due to severe weather. Since the vessel was designed to carry tons of fish, the correct ballasting would have to be determined and added to the vessel. Dedicated space with easy access from the deck, space for extra fishing gear and supplies, space for scientific supplies and storage for dry samples, and freezer space for biological samples was indicated, along with a work boat and skiff stored on the upper deck. On the return trip, while crossing the Gulf of Alaska the boats stored on the stern came loose during severe weather and were damaged. Leaks in the engine room, especially the one over the switchboard and the ones into the crew’s quarters and galley, needed to be stopped. The small and crowded pilothouse needed to be replaced. Access to the pilot house needed to be internal and not external. And finally, a general overhaul replacing weak or unsuitable equipment, such as the automatic steering mechanism and the pilot house engine room controls, was suggested. The Washington to be sold. So it was decided not to modify the Washington but sell it and design an exploratory fishing vessel on the combination principle. From the reports that were returned from this trip a set of specifications was put together and sent out for bid, which was won by W.C. Nickum and Sons of Seattle. This was the first step toward a dedicated exploratory vessel, the John N. Cobb. The Washington was transferred to the Republic of Korea on August 4, 1949 and the Deep Sea was chartered to carry out the second exploratory cruise. (1) Ellison, J.G., Boris Knake, and John Dassow, 1949, Report of Alaska Exploratory Fishing Expedition, Fall of 1948, to Northern Bering Sea, US Department of the Interior, Fish and Wildlife Service, Fishery Leaflet 342, Wash. D.C., June 1949. 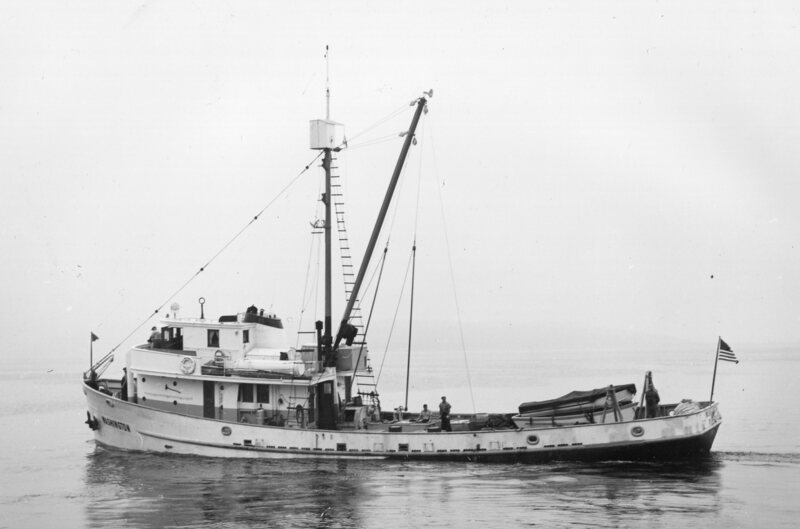 This entry was posted in boat building, Environmental History, Exploratory Fishing Base, fisheries science, Fishing, History of Science, History of Technology, Maritime History, Nick Bez, Pacific Explorer, Pacific Fishing History Project, R/V John N. Cobb and tagged Bering Sea, Pacific Fishery History Project, trawling. Bookmark the permalink.